Next up in our trade deadline series are two right-handed relievers who have both had strong years out of the Miami bullpen in Kyle Barraclough and Drew Steckenrider. First and foremost, I think a primer on the Dodgers overall pitching situation is important in assessing how they’ll operate this trade deadline. The Dodgers have a multitude of relievers coming off the DL over the next few weeks in Pedro Baez, Josh Fields, Tony Cingrani, and potentially Yimi Garcia. After that, Julio Urias against all odds is potentially on track to return late in the season, and if he were to pitch, out of the bullpen would be the most likely outcome. 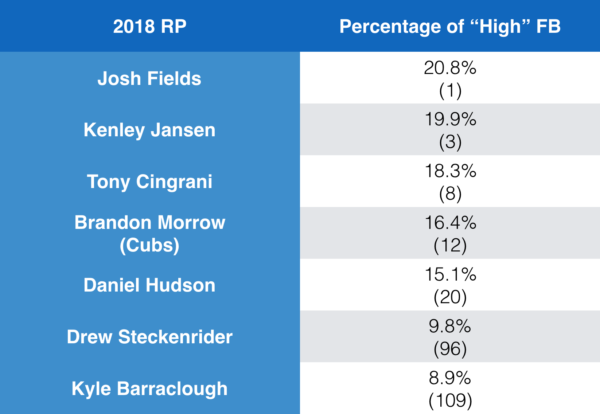 That’s five potential relievers on top of the obvious Jansen and Alexander, with JT Chargois an effective ROOGY, Dylan Floro and Erik Goeddel each have shown promising stuff, and Caleb Ferguson has been extremely effective with his stuff playing up in relief (1.00 ERA/1.72 FIP). This is all before addressing that if Hyun-Jin Ryu comes back down the stretch, the Dodgers have seven starting pitchers when they’ll need at most four in the playoffs — to add to that, if the Dodgers are down in the series going into Game 4, Clayton Kershaw will almost assuredly start meaning that they might only need three starters. Rich Hill, Alex Wood, and Walker Buehler all make sense to shift into the bullpen for the playoffs as their stuff could all play up. The truth of the matter is while the Dodgers would obviously welcome a reliever that would help them reach the postseason and win the division, I think the team is pretty confident that they can make that happen without any more outside additions. That means that the main addition would be an effective setup man that can be deployed with confidence in the postseason. Having said that, here’s how these two relievers stack up next to each other, out of 162 qualified relivers, and to the best reliever on the team, Kenley Jansen. Barraclough is 28 and is in his third full season in the majors with the Marlins. On the surface level, he had an excellent year going so far as the Marlins closer. When I initially started this post, Barraclough was sitting on a 1.45 ERA with a 3.83 FIP. 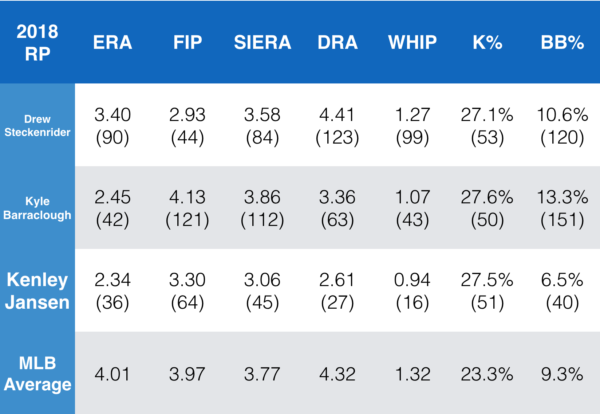 The outperformance of FIP by 2.37 led all qualified relievers easily this year, and would’ve ranked seventh of 2,647 qualified reliever seasons since 2000. That gap was created by a 93.8% LOB rate, the sixth highest in MLB while the league average LOB rate is 73.4%. Some relievers are incredibly tough with runners on and their LOB% can be real, but not with a .158 BABIP which led the league over the second best BABIP allowed in Sean Doolittle (.187) — the regression was unfortunately due. He had a 1.45 ERA with a 3.83 FIP before the game on July 22, where he allowed three singles, a walk to load the bases, and ultimately a walk-off grand slam. He now sits with a 2.45 ERA and 4.13 FIP. Immediately less appealing on the surface level, no doubt, and I’m sure the Marlins would’ve preferred to trade him with a 1.45 ERA instead of a 2.45 ERA, but this was coming. On the other hand, he has proven to be an elite level closer in the past. In 2016 among all qualified relievers, he finished seventh in strikeout rate (36.9%), eighth in FIP (2.11), and tenth in fWAR (2.1) — as well as the highest walk rate of all 135 qualified relievers (14.4%). He had a decent year last year (3.00 ERA/3.66 FIP) and put up 0.6 fWAR, but it wasn’t quite the same as his stellar 2016. This year he’s obviously started with the low ERA, but with the increased peripherals — he’s been slowly trending downwards since his 2016 season. When looking for the cause of his troubles, two things that quickly stand out are changes to his pitch-mix and velocity. His fastball velocity this year (94.2) is down a full tick from last year (95.2) which was down a whole tick and a half from the year before (96.5). Over the last two seasons, his slider usage was roughly 42.0% and it’s down to 26.0% this season. The top notch reliever may still be there, and I can see the Dodgers trading for him if they feel they can get him back into that form, however as of right now his 4.13 FIP would be tenth on the team ahead of only Hudson and Garcia. Steckenrider is 27 years-old in his second season, but didn’t exhaust his rookie status last year despite throwing 35 innings. Last year, he struck out 35.8% of batters he faced (54 strikeouts in 34.2 IP) and put up a 2.34 ERA and a 3.10 FIP in his limited season. He’s off to a strong start this year (3.40 ERA, 2.93 FIP), while both his strikeout rate and walk rate have dropped. He’s put up 0.8 fWAR this year, which would be second on the team to only Jansen (0.9 fWAR). He’s less proven than Barraclough, but his stuff is trending upwards and there is likely more to be unlocked. Steckenrider threw his slider 17.2% of the time last year, compared to only 5.2% this year. He’s essentially replaced it with a cutter which he didn’t throw last year, but he now throws 15.8% of the time. It looks like a strong offering, but strikeout rates are almost always going to dip when shelving your only off-speed pitch. Another thing to look at is fastball drop and velocity, both of which are important for throwing up in the zone. For the purposes of this chart, a higher positive vertical movement number means it has less drop than average or what is commonly referred to as a fastball with “rise”. Steckenrider would rank among the best on the team in fastball velocity and “rise”, meaning it should play well up in the zone. In terms of the value the Marlins are looking for in return for Steckenrider, Michael Chavis and Jay Groome are the top two prospects left in the rather decimated Red Sox system. MLB.com has Chavis ranked #63 in their top 100, and Groome as #76 while FanGraphs has them as #95 and #98. However, they do have their faults — Groome has been injured and underwent Tommy John surgery back in May, while Chavis was suspended 80 games for PED use. Miami and the Dodgers look to be a good fit for a trade, and the scouting makes sense, lining up a potential deal. Yadier Alvarez would be a good get for a team like Miami, as he’s lost some value but his upside can still be seen in how prospect lists rank him. He didn’t make the top 100 for Baseball America or MLB.com, but FanGraphs has him at #54 and Baseball Prospectus has him as low as #41. He’s a high upside arm that is worth a gamble to get into a new situation, with new coaches, etc. Both relievers can probably be had with Alvarez as the headliner, but the surrounding prospects would have to reflect the value that controllable relievers have. It seems as though the Dodgers really like Wong, but with Keibert Ruiz, Will Smith and Kyle Farmer ahead of him — they can deal from depth here. In the Dodgers system, MLB.com has Alvarez as #7, Wong as #13, and Sborz outside of the top 30. FanGraphs has Alvarez as #3, Wong as #17, and Sborz outside of their top 23. On his mid-season Top 30 list, Dustin has Alvarez as #9, Wong as #14, and Sborz as #21. Gonsolin is a 24 year-old flashing 3/4 plus pitches who sits mid-90’s with his fastball and misses bats with his off-speed stuff. He probably doesn’t need much more time in the minors, especially with a different organization and could be up as soon as this year as a multi-inning reliever or a starter depending on how the organization would want to use him. In the Dodgers system, MLB.com has Alvarez as #7, and Gonsolin as #20. FanGraphs has Alvarez as #3, and Gonsolin outside of their top 23. On his mid-season Top 30, Dustin has Alvarez as #9, and Gonsolin as #19. Toles is the real kicker here, as he has four years of control after the year, and has shown he can hit in the MLB. He’s put up 1.8 fWAR over only 241 MLB plate appearances, while slashing .290/.336/.469 and putting up plus defense and baserunning. 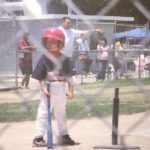 He’s ready for more plate appearances in the majors than the Dodgers can give him and the Dodgers would be dealing from depth. At the end of the day, I don’t think the Dodgers would be in on these two unless they see a few things they think they can improve upon. If they can alter pitch-mix or release points or anything, and “unlock” either one of these two relievers, then the Dodgers could potentially have a guy to setup for Kenley Jansen under team control for the foreseeable future.